Over 70% of data center outages are attributable to human error. An operations and maintenance (O&M) program is designed to keep human errors at a minimum, but a poorly organized program can quickly cause more harm than good. 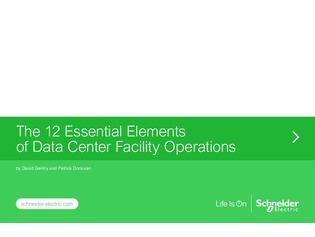 Inside this 43-page guide, read through the 12 elements that comprise a balanced and airtight facility management program. From emergency response to personnel management – and everything in between – get tactical advice on the key components that every O&M agenda should contain.